Stock reorder level indicates when it is necessary to reorder stocks from your supplier to fulfill your customer’s demand. 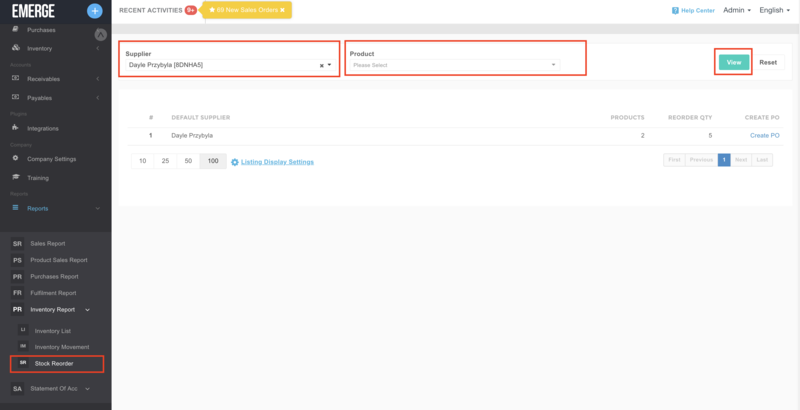 You can specify a reorder point for your products by editing your existing product or while creating a new one. On the listing page, click on + New Product and select Add New Product in the drop down menu to begin adding your product. PO Link – You will be directed to purchase order details page to create your purchase order with system default values upon clicking the link.